Weapons and military equipment found on board the Jihan 1. 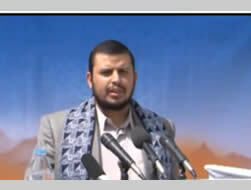 Abd al-Malik al-Houthi, rebel leader, gives a speech on November 3, 2012 (YouTube.com website). 1. On January 23, 2013, the Yemeni coast guard and security services intercepted the Jihan 1, a ship carrying weapons, explosives and military equipment, some of it manufactured in Iran. The ship was en route from Iran and its cargo was intended for delivery to the Houthi Shi'ite rebels in northern Yemen. An announcement issued by the Yemeni News Agency on February 6, 2013, reported that the weapons seized included 122mm Katyusha rockets, anti-aircraft surface-to-air shoulder-launched missiles, RPGs and RPG launchers, Iranian-manufactured night-vision binoculars, ground and naval target-identifying systems with ranges of 40 kilometers (25 miles), sound suppressors for automatic weapons, large quantities of high explosives (RDX and C4), electronic equipment for detonating IEDs, large quantities of ammunition for rifles and DShK heavy machine guns, and additional military equipment (Sabanews.net website). (Sabanews.net website.) Lower left picture from the Yemensaeed.com website, February 7, 2013. 2. The Yemeni ministry of the interior reported that the ship was carrying 40 tons of weapons, shells and explosives. According to a source in the Yemeni administration, the weapons were destined for Sa'ada, the Houthi rebel stronghold (Agence France-Presse, February 9, 2013). The explosives were concealed in 133 plastic containers and the electronic equipment was hidden in ordinary cartons used for spare auto parts (Alsahwa-yemen.net website). On February 2, 2013, sources in the Yemeni administration told Saba, Yemen's official news agency, that in Iran the ship had been transferred to a Yemeni crew of eight who were to sail it to Yemen (Bbc.co.uk website). A member of the American administration, who spoke on condition of anonymity, told a Reuter's correspondent that seizing the weapons had been coordinated with the American Navy and that an American destroyer had been nearby (International Business Times, January 28, 2013). 3. Ali Hassan al-Ahmadi, head of Yemen's national security council, accused Iran of being behind the attempt to smuggle the weapons. He said that smuggling such a large consignment could not have been carried out by ordinary merchants or smugglers, but only by a governmental power. Iran, he said, "insists on damaging Yemen" (Agence France-Presse, February 9, 2013). Yemeni President Abd al-Rabbuh Mansur al-Hadi warned Iran not to interfere in his country's internal affairs (AP, February 9, 2013). 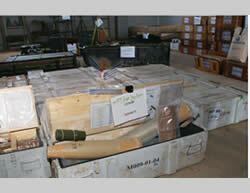 Interior Minister Abdel-Qader Kahtan said he hoped Iran would stop "exporting" weapons to Yemen (AP, February 10, 2013). 4. American officials said the weapons on board were manufactured in Iran, and that "the pattern of the shipment matched past instances of suspected Iranian smuggling into Yemen" (ITIC emphasis). 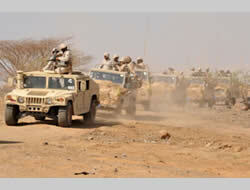 According to American officials, the Iranians also have stepped up aid to rebels in the south of Yemen in recent months. 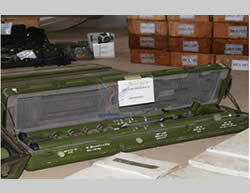 Previous shipments, according to the officials, involved mainly money, small arms and explosives. However, asource in the Iranian foreign ministry denied Iran's involvement in the affair (Press TV, February 4, 2013). 5. The large quantity of weapons seized, especially the shoulder-launched missiles, could have significantly improved the Houthi rebels' operational military capabilities. In an exclusive interview with the Wall Street Journal, American Secretary of Defense Leon Panetta accused Iran's "paramilitary force" of intensifying its campaign to destabilize the Middle East by smuggling anti-aircraft weapons to its "militant allies." He said that they were a threat to "civilian as well as military aircraft," and were a "dangerous escalation" (ITIC emphasis throughout). 6. Iran regards Yemen as an important factor in its regional policies. It seeks, to establish an Iranian ground and naval presence in the countries and ports of the Red Sea which control the sea lanes from the Persian Gulf to the heart of the Middle East and Europe. In addition, Iran regards Yemen, especially the northern part of the country bordering on Saudi Arabia, as a convenient arena from which to conduct subversive activities against the Saudi Arabians, Iran's main political and religious rivals in the Middle East, while harming the United States' local and regional interests. 7. Iran's support of the Zaydi-Shi'ite Houthi rebels is part of its modus operandi in the Arab-Muslim world, in which it uses local Shi'ite communities for purposes of subversion and terrorism. The Iranian group responsible for those activities, carried out as part of exporting the Islamic Revolution, is the Qods Force, an elite unit within the Iranian Islamic Revolutionary Guards, Iran's long arm of subversion and terrorism. 8. 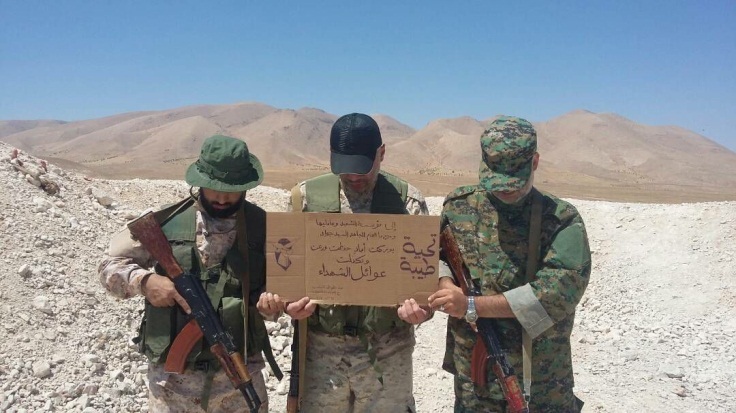 Iran's outstanding success in integrating a local Shi'ite community into its strategy was in Lebanon, where Hezbollah, founded by the Iranian Islamic Revolutionary Guards, became a powerful Lebanese and regional force and Iran's preferred proxy. 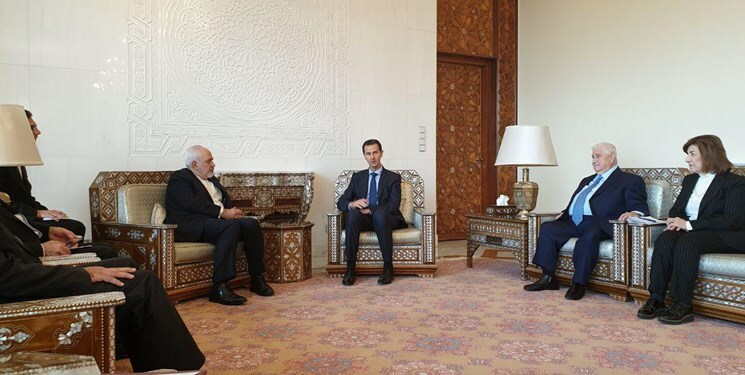 Syria's Alawite regime is supported by Iran and Hezbollah because of its strategic importance (central to which is Syria's membership in the so-called "resistance camp"). However, in addition, religious and sectarian solidarity is not lacking, because Iran and Hezbollah regard the Alawites as Shi'ites. In Iraq Iran successfully established and armed Shi'ite militias which played an important role in fighting the United States and its allies and helped increase Iranian political influence in Iraq "the morning after." On the other hand, Iran's subversive and terrorist activities among the Shi'ites of Bahrain, Azerbaijan, Afghanistan and Pakistan met with difficulties and so far has not succeed in destabilizing the local regimes or in advancing Iranian interests. The upper right hand picture was distributed by the Yemini ministry of defense. 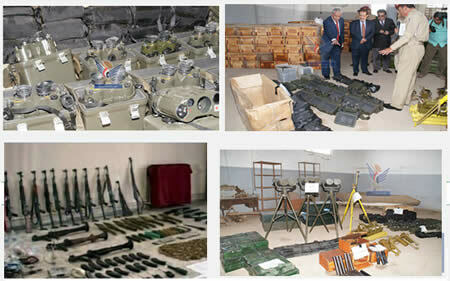 It shows Interior Minister Abdel-Qader Kahtan (left) and Ali al-Ahmadi, head of Yemen's national security agency (second from left), examining the weapons unloaded from the boat (AP, February 10, 2013).